Lulu Orange, is a South Florida native, who is no stranger the entertainment industry, She poses a vivacious personality that many say is “contagious.” At only the age of 14 she debuted on her first talk radio and TV show appearance in Vero Beach, FL and she has not quit there. With over 15 years in the media industry, she was hired as one of the main disc jockeys as part of the Fantastic Four on Hot Party Radio AM 740 in Boca Raton, South Florida's Only Party Talk Show giving you the latest on all the hottest nightclubs, dance parties, and underground hot spots all over South Florida! Plus music from local bands and new artists, live reports from the hottest parties, celebrity gossip, and guest phone calls. Lulu also was the top 10 finalist on Radio Idol for y100 as she competed for Miami’s next Great Radio Dj. Her love for television stemmed at an early age but it all started when she was selected to give a news segment for an upcoming Miss Florida USA preliminary pageant for WJHG News Channel 7 Panama City. Since than she has headlined web TV series, giving you the latest in celebrity interviews, fashion, current events and local happenings in the South Florida Area. She is proud to debut her own show where she wears many hats director, producer, writer, blogger titled Oj In The Morning with Lulu Orange and host of The Boardroom TV Show showcasing inspiring women CEO's who are on top in their industry encouraging other women to do the same. With all her many talents, she has added recently President of her own company Lulu Orange, Inc and launched her own clothing/beauty line L'Orange Couture. For the past few years Lulu awards scholarships to graduating seniors seeking to pursue their collegiate studies. In the near future she plans on opening a 501 (c) 3 ; "Scholarship Success Camp" which caters to Freshman, Sophomores and Juniors to assist in helping those students seeking additional funding for college in the summer breaks. Most recently she developed the BeYOUtiful Role Models organization which empowers women to love the skin that they're in exposing them to industry professionals who will teach workshops on topics such as interview skills, etiquette classes etc... As a motivational speaker and author; her most recent work titled "Greatness Lies Within You" is an eGuide that outlines 10 Steps to Success that will give people tools to succeed goals while encouraging others to be the best that they can be. Lulu has also represented many premiere brands, products and services as a spokes model. Her resume includes working as a promotional talent, voice over professional, featured in commercials, coordinating and directing events in Florida. She has been crowned several times as a pageant queen and is a director of multiple preliminary pageants for the Miss Florida USA system. She was recently crowned Lifetime Queen for the Miss International Beautiful Pageant System and looks forward in continuing her pageant endeavors. Her latest being the co-founder of Prestige Pageantry Awards an annual event highlighting the contributors to "pageantry excellence!" Lulu is a proud member of Zeta Phi Beta Sorority Beta Tau Zeta Chapter in Miami, FL and has served in various positions on the local level as 2nd Vice President, State- Reporter, Business Partnership Chair, Miss Florida Zeta, Regional Miss SE Regional Zeta and National Interim Director of the Miss Zeta Phi Beta Pageant just to name a few. Lulu married the love of her life Charlie Tyson which happens to be a member of Phi Beta Sigma Fraternity which is constitutionally bound to Zeta Phi Beta Sorority, Inc. Professionally she is currently an Area Admissions Director/ nurse liaison in Palm Beach County which serves three Rehabiltition centers and this past year awarded the Outstanding Contributior Award for generationg over 15 million dollars in revenue for a corpration. This lead to the birth of her neweset project "Sales Success Course" which teaches others how to master the world of sales in any industry to bring more to your bottom line. 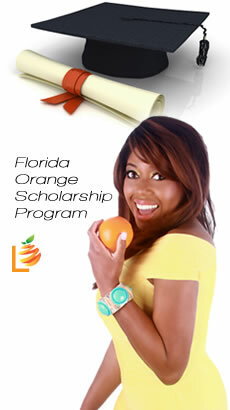 Lulu Orange, Inc.is proud to announce the Florida Orange Scholarship to a deserving student who needs financial assistance to pursue their education. Lulu in her spare time she enjoys participating in activities with her sorority Zeta Phi Beta Inc., mentoring young teens and directing pageants. 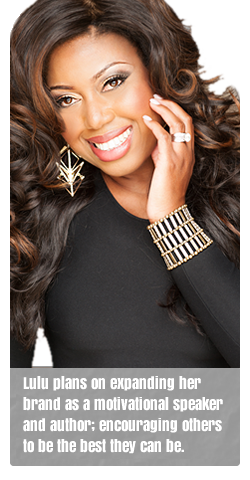 Lulu graduated from Florida State University with a Bachelor of Science Degree in Communication. Lulu also received her Corporate Master’s In Business from Florida International University. Lulu is also a Registered Nurse. Lulu loves spending time with her husband, family, friends and Pomeranian named Chico.